The bestselling author of A Rose for the Crown and Daughter of York takes a young woman that history noticed only once and sets her on a quest for the truth about the murder of two boys and a man who claims to be king. All that history knows of Grace Plantagenet is that she was an illegitimate daughter of Edward IV and one of two attendants aboard the funeral barge of his widowed queen. Thus, she was half sister of the famous young princes, who -- when this story begins in 1485 -- had been housed in the Tower by their uncle, Richard III, and are presumed dead. But in the 1490s, a young man appears at the courts of Europe claiming to be Richard, duke of York, the younger of the boys, and seeking to claim his rightful throne from England's first Tudor king, Henry VII. But is this man who he says he is? Or is he Perkin Warbeck, a puppet of Margaret of York, duchess of Burgundy, who is determined to regain the crown for her York family? 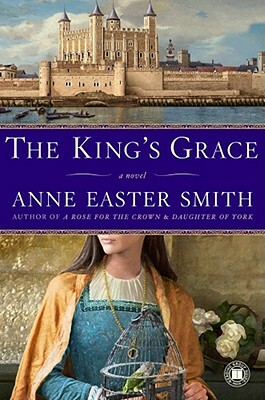 Grace Plantagenet finds herself in the midst of one of English history's greatest mysteries. If she can discover the fate of the princes and the true identity of Perkin Warbeck, perhaps she will find her own place in her family.